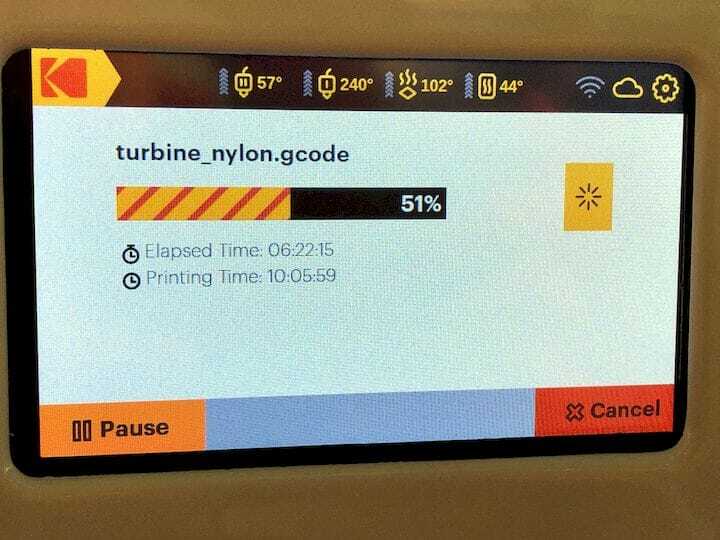 We hadn’t heard much from Kodak on their new 3D printer for quite a while, but now they’re back in action. We first saw their machine earlier this year at CES, where they showed their Portrait 3D printer. At that time we noted that the machine included a number of fascinating features that were designed to make life much easier for the operator, such as their tilting dual nozzle that helps avoid collisions during 3D printing. We’re told they’ve incurred a bit of a delay to obtain specific regulatory certifications for the equipment, which have now been completed. Now they’re fully ready to sell machines. But in the interim, they’ve jazzed up the machine with even more useful features, one of which is quite unique. The machine is now fully enclosed, meaning it is able to easily capture stray heat from the heated print surface to raise the ambient temperature in the print chamber. This will greatly help 3D printing certain warpy materials such as ABS. 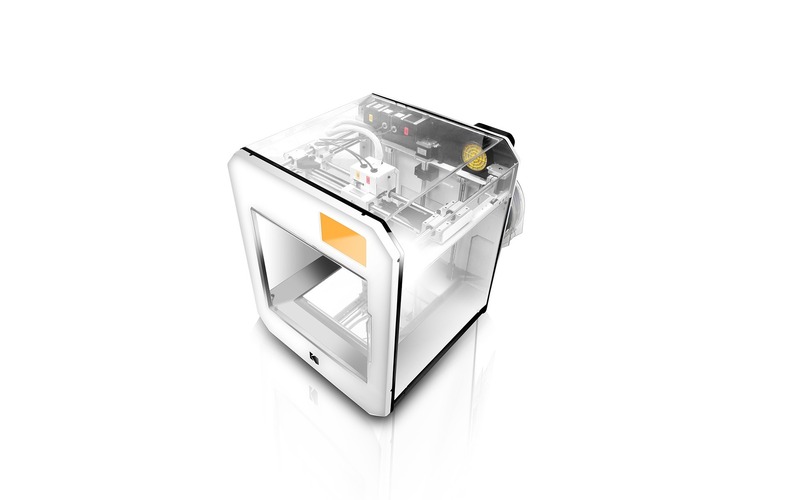 The machine now hooks up to the Kodak 3D Printing Ecosystem that can, for example, queue up print jobs, slice in the cloud, store GCODE files for future re-prints and monitor live print operations with the embedded camera in the Portrait 3D printer. The cloud service is based in Microsoft Azure, and we believe is actually a variant of 3DPrinterOS. But the final improvement is quite unique: they’ve outfitted the dual E3D-Online hot ends differently. One hot end has a PTFE feed tube, while the other is entirely made of metal. 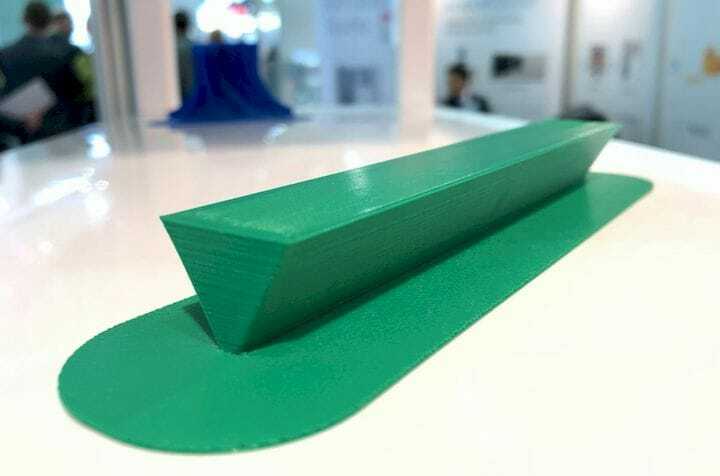 The PTFE nozzle is ideal for softer materials, and in particular for flexible filaments like TPU. 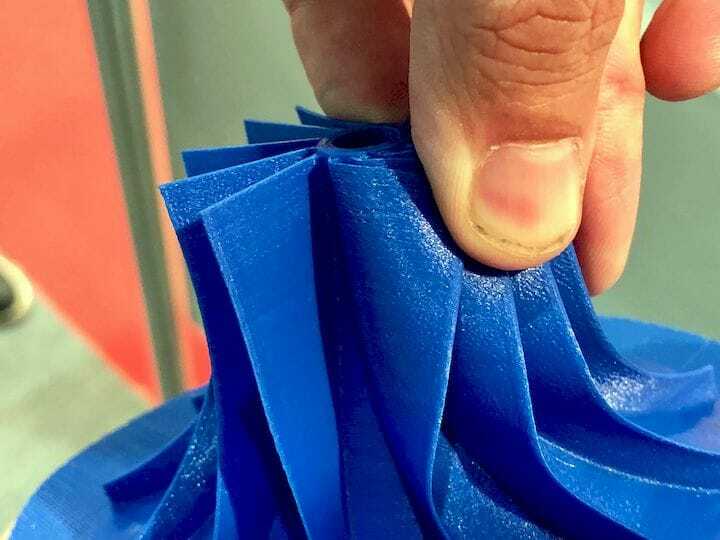 These must be printed at far lower speeds than typical rigid filaments and would incur too much friction while passing through all-metal nozzles. Meanwhile, the other nozzle is all-metal, meaning it can be heated to very high temperatures. PTFE nozzles have a temperature limit because PTFE material will begin to break down at around 260C – and emitting some nasty chemicals in the process. Thus Kodak has made their second hot end capable of 3D printing high-temperature materials. Both of these hot end scenarios are well known. 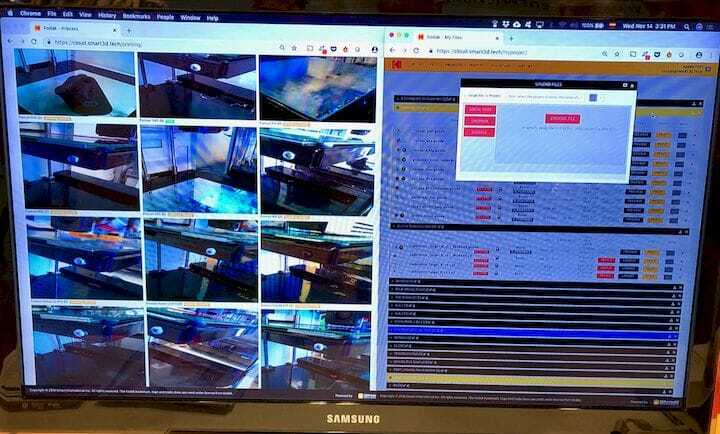 However, Kodak has implemented BOTH in the same machine. 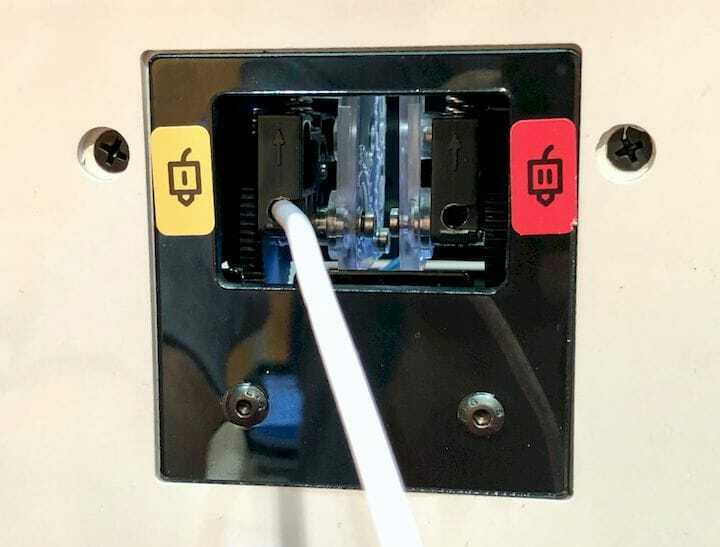 This means that if you, for example, want to print TPU today, you merely print it on nozzle 1. You do not need to take apart the machine to swap nozzles, as is done in many other 3D printers. Similarly, the second nozzle is ready for printing high-temperature materials anytime without requiring hardware changes. That’s a huge convenience feature for 3D printer operators that we have not seen previously. It’s actually quite a simple idea and I’m wondering why it hasn’t been a more popular approach. Kodak also explained their warranty program. For US$400 per year, you will receive a 4-year warranty on the equipment. This is perhaps one of the longest warranties available in the entire world of 3D printing, and it’s not that expensive. The warranty includes an annual “check-up” at their now numerous service partners. Kodak tells us the machine is now available from “many resellers across USA, Canada and Europe”. That’s the power of a brand like Kodak. Read more about 3D printing at Fabbaloo! This post features affiliate links which helps support SolidSmack through a small commission earned from the sale at no extra cost to you! Fabbaloo tracks developments in the amazing technology of 3D Printing, publishing news and analysis daily. Whether from a manufacturer’s press release, onsite coverage of events or just some crazy ideas we thought up, our material will keep you up to date.